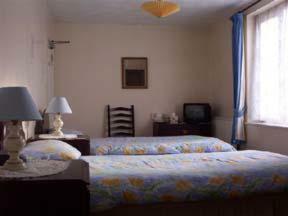 Lock in a great price for Ye Olde Station Guest House Birmingham, Shustoke – rated 8.7 by recent guests! Clean room, heating in the room and windows open fully. Had decaf tea and coffee which was amazing, I had brought my own! The shower was small, but ok. The bed was soft, but that's a personal preference. The breakfast was full English and Pat was very friendly and accommodating. Would stay again. Great location for the wedding we were attending, lovely area. Warm welcome from the owner, and a great breakfast. Nothing was too much trouble for our hosts. Room was fairly basic and bathroom and shower were a bit on the small side especially as my wife and myself can’t move around like we used to. If visiting there are few eateries open in the evening so we ended up with a takeaway. Either way, none of this deterred from the warmth of the welcome we all felt and, if in the area again, would use (or recommend) in a heartbeat. The lady was very friendly and helpful. Wifi in the room was handy. The breakfast was excellent and so was Pat the owner,it was 5min walk to nearest friendly pub. Breakfast was excellent and Pat was a fabulous host. 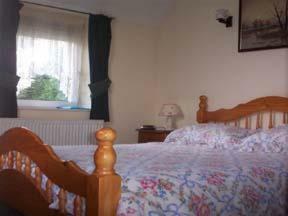 Very clean and nice rooms and the landlady was great. I had booked this for my friend who walks with two sticks. Both my friend and I were very impressed with the staffs attitude and the help that they gave to my friend. Plus the accomodation was excellent as well. Ye Olde Station Guest House Birmingham, Shustoke This rating is a reflection of how the property compares to the industry standard when it comes to price, facilities and services available. It's based on a self-evaluation by the property. Use this rating to help choose your stay! This hundred-year-old train guesthouse is set in the countryside, a 15 minute drive from Birmingham Airport and the NEC and 2 miles from Hoar Park. This non-smoking establishment has been awarded 3 AA diamonds. The hotel offers the best in English guesthouse hospitality and facilities including a lounge with Sky satellite TV and a 2nd lounge with a pool table. 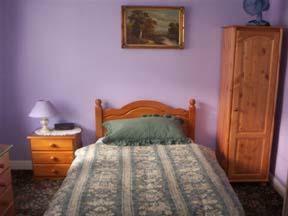 The rates for these comfortable rooms with private bathrooms includes a full English breakfast. The golf courses of The Belfry, Maxstoke, Forest of Arden and Purley Chase are close by. 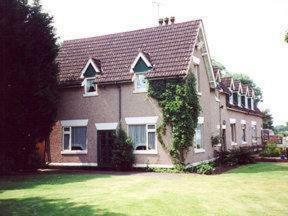 This property also has one of the top-rated locations in Shustoke! Guests are happier about it compared to other properties in the area. 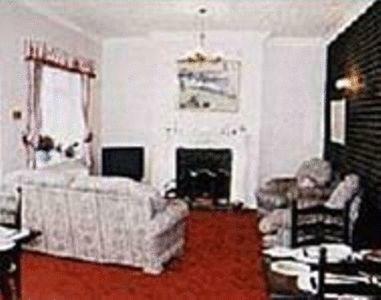 This property is also rated for the best value in Shustoke! Guests are getting more for their money when compared to other properties in this city. 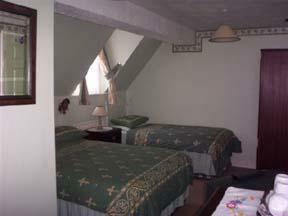 When would you like to stay at Ye Olde Station Guest House Birmingham, Shustoke? 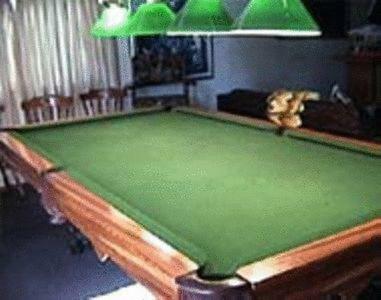 House Rules Ye Olde Station Guest House Birmingham, Shustoke takes special requests – add in the next step! Ye Olde Station Guest House Birmingham, Shustoke accepts these cards and reserves the right to temporarily hold an amount prior to arrival. No late evening food nearby. Both shower and bathroom a bit small in the double room number 1. Our grown up sons had a twin room (number 6) and the bathroom/ shower were much bigger. Bed was very hard and springs sounded like they had given up the go a long time before. Cooked breakfast was a little small and basic. Soft bed in room 1, but that's a personal preference. I would have liked some extra towels - my one was a bit small. Pat was lovely and looked after us very well. Sound of trains,im sure would cause some people problems. The train was very noisy as the track runs along side the house so that was an issue. Great house though. A bit further from the nec than we thought. We were in room 1 and the position of shower not great. Pat was very welcoming and helpful ,wonderful lady, the breakfast was great public areas were excellent ,room basic but nice, plenty of drinks choice on tray. The Black Bull was within walking distance, had a lovely meal there, staff and service were excellent.Close to NEC and Airport, also there's a supermarket nearby .